3 bedroom, 3 bathroom house for sale. Do you want to have a home by the sea? If so, we recommend this house. Open House for sale with a 1 year lease contract. Are you looking for a beachfront home? Selling a home with a cheap swimming pool express. New Renovated !! 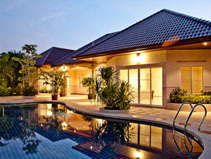 3 bedroom pool villa for sale !! !新装修！ 3卧室泳池别墅出售!!!! !